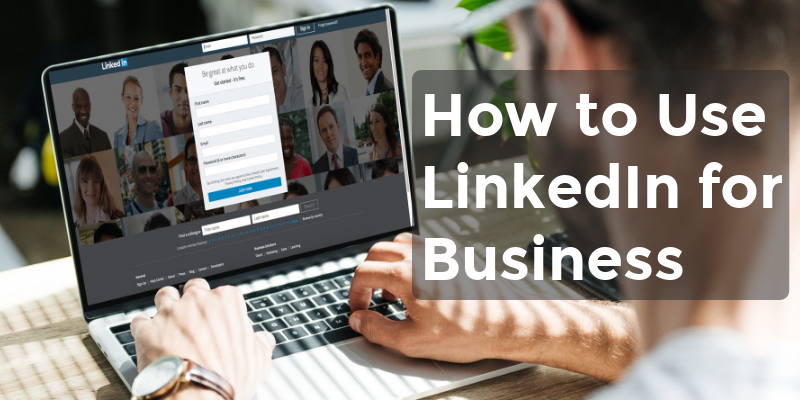 Using LinkedIn for business is a no-brainer for B2B (business-to-business) companies. With more than half a billion professionals gathered to network, learn and potentially do business, there is not another platform like it. LinkedIn is the best social network for generating B2B leads, with over 80% of B2B social leads coming from LinkedIn. More than 60 million LinkedIn users are senior level influencers and 40 million are in decision-making positions. The benefits of using LinkedIn for business are pretty clear. The real question becomes how to use LinkedIn for business? What stops many businesses from taking advantage of the platform is where to get started. If you are feeling overwhelmed with all the options, this article will help you understand the different functions and strategies so you can take action. A LinkedIn company page can provide your company with credibility, added search engine optimization (SEO) power, and new ways to promote your business. If your company’s customers are on LinkedIn, then so should your business. Buyers are researching companies and salespeople online long before the sales process ever begins. You need to be there. LinkedIn is one of the first places sales leads will use when they want to learn more about your business. Google and other search engines give LinkedIn results a lot of weight – so much so, you may find your LinkedIn business page ranks higher on Google than your website. If you are in B2B (selling to other businesses) then your target market is on LinkedIn. There is no other website on the planet platform with a higher concentration and quality of sales prospects as LinkedIn. LinkedIn is Google for finding professionals. The World’s largest professional network, LinkedIn has half a billion professionals in its database. Importantly, these people are on LinkedIn to do business, professionally network, and learn from others. LinkedIn’s greatest achievement, however, may be in convincing this huge pool of sales prospects to update their own information. Put simply, LinkedIn is like a self-updating customer relationship management (CRM) tool. There is no other social platform where you can search people by categories such as job title, industry, seniority, etc. Even the in-depth (creepy) amount of data available to Facebook Ads doesn’t offer the same sort of professional search queries. The problem (and the opportunity) is that too many salespeople don’t know how to use LinkedIn for business. They build a network based on co-workers, friends and competitors, instead of sending connection requests to people who can actually buy from them. The reality is that only a small percentage of prospects or potential partners are ready to act when you first meet or contact them. It is simply a numbers game. A “trigger event” is when a prospect’s situation changes and there is a limited window of opportunity for you to sell to them. There are a number of signals you can monitor on LinkedIn to make you aware of trigger events to act on. For example, a change in a buyer decision-making role opens up the opportunity to build a new relationship in that company AND leverage an existing relationship at the new company. You can monitor LinkedIn for these trigger events by connecting or following people, and by following companies you are interested in working with its people. An overlooked LinkedIn search strategy is finding and building referral partnerships. Once developed, these partnerships can be a successful, passive source of sales leads for your business. People want to work with those that they know, like and trust. Referrals are a shortcut in this process. If you are using LinkedIn to find sales leads, why wouldn’t you use the same tactics to build mutually beneficial business relationships? I have built numerous relationships on LinkedIn that have resulted in business. Finding other businesses on LinkedIn has the advantage of being able to initially vet people based on their profile, recommendations, content and any common connections you have. Using LinkedIn for business networking can be more effective and time efficient than attending in-person events. LinkedIn updates have become the most successful content marketing strategy on LinkedIn. 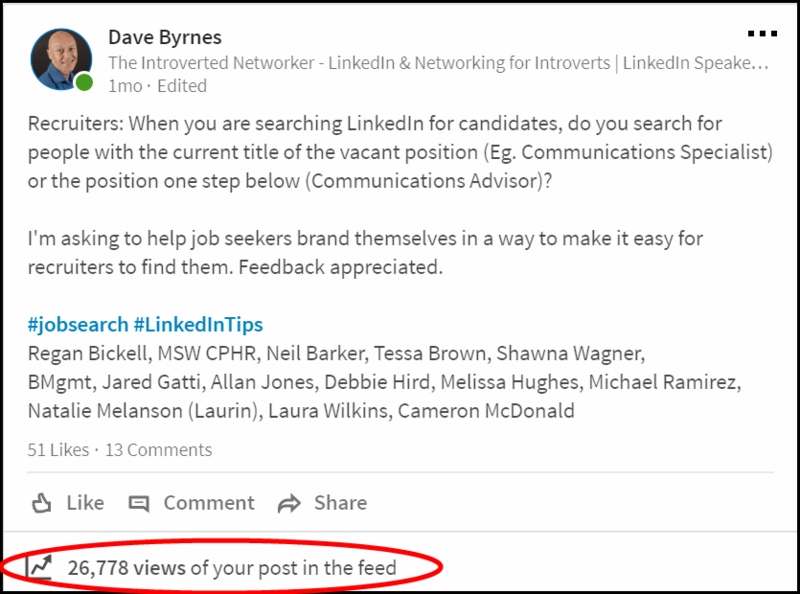 Posting updates on LinkedIn have exploded in recent times as LinkedIn’s algorithm has taken the focus off articles and onto updates. Marketers who jumped on this trend have been able to gather views in the hundreds of thousands or millions for their content. This has been translated into huge amounts of Followers for these individuals and their companies. Although viral hits aren’t the norm for the average user, getting several thousand views on a post is still achievable with the right content. While LinkedIn Company Page updates are only shown to a percentage of your Followers, LinkedIn content marketing on individual profiles has the ability to go viral and reach new audiences at scale. Publishing articles on LinkedIn can build subject matter authority and generate new leads for your business. Published articles look great on personal LinkedIn profiles, building authority for your employees. Articles can be shared on LinkedIn Company Pages and can get a lot of exposure through using employee advocacy (below). LinkedIn’s SEO power is another positive factor in publishing to LinkedIn. Due to its size as a platform, Google treats it as a trusted source. This means that if you are competing for a particular search phrase then LinkedIn can outrank the same article on your own website. 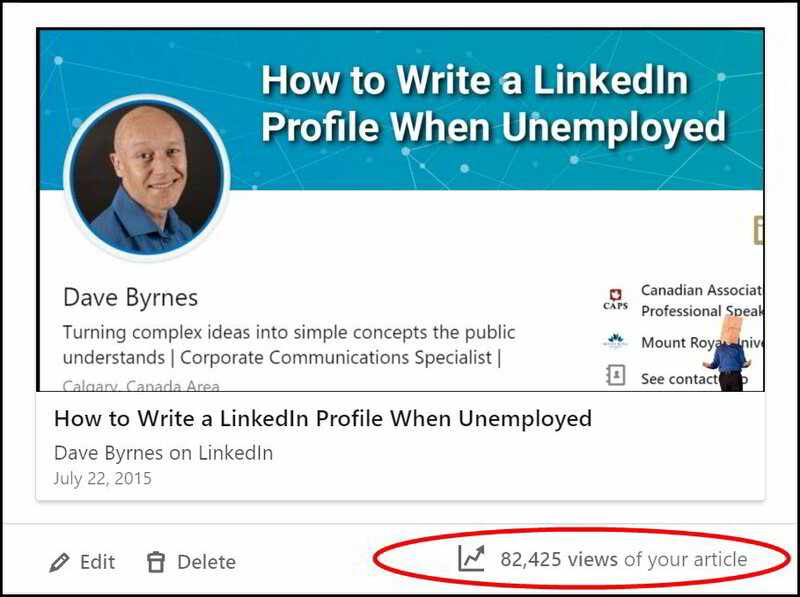 In a personal example, my LinkedIn article “How to Write a LinkedIn Profile When Unemployed” has a top-two ranking on Google and more than 80,000 views. The same article on my website did not make the first page of results. As mentioned above, LinkedIn has taken some focus off publishing articles in favour of posting updates. Articles no longer have a dedicated platform (LinkedIn Pulse) and are found through a person’s profile and the newsfeed. This means that authors need to promote and share their articles on LinkedIn, just as they would for their own blog. SlideShare is the forgotten stepchild of LinkedIn. It is an opportunity to get in front of 80 million monthly visitors with your content. It is currently one of the 100 most-visited websites in the world. One advantage of LinkedIn SlideShare is it is a great venue to repurpose existing content you have already produced, such as presentations, infographics, videos or documents. LinkedIn has also added cost-effective lead generation tools that allow you to capture contact information from prospects for your business. Engaging your employees to share and interact with your content is a simple yet powerful way to leverage the viral nature of social media. LinkedIn’s numbers show that on average employees have social networks 10x larger than their business brand. When you think about an example of 100 employees with 10x the reach of your LinkedIn Company Page, the numbers make sense. Employee shares also have double the interaction because they are seen as more authentic than corporate shares. If you were researching vendors, would you respond to a corporate PR piece, or an employee sharing their experience of a project they worked on and are proud of? Using employee advocacy can not only improve morale for current employees but can also help attract new talent. An advantage of using LinkedIn to recruit is the degree of control it gives your business in the type of hiring you do. LinkedIn also gives you more information on potential hires than you can get through a resume or job application. LinkedIn is a ready-made database of potential employees, with up to 90% of members open to the right opportunity. Recruiting on LinkedIn does not have to involve an expensive and time-consuming public job post campaign. 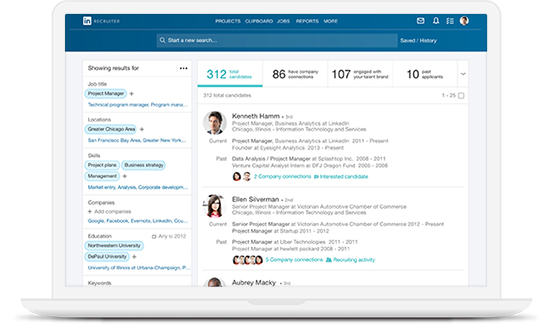 A LinkedIn hiring campaign may be as simple as searching through your LinkedIn connections for anyone you know who may fit the role. Or it may mean reaching out to connections in the right industries or positions to ask for referrals. If a larger search is needed, using LinkedIn Recruiter to find and approach passive candidates (not actively looking but open to opportunities) is another option over a public job post. The information on LinkedIn about potential hires is another advantage over simply reading and responding to resumes. You can look at their recommendations, the type and quality of updates they have published and even find common connections to speak with. When you Google your business, particularly if you are a smaller business, it’s likely the first result will be your LinkedIn Company Page, not your website. As a massive website, LinkedIn has huge SEO reach. Getting ranked for your business with LinkedIn is a freebie you shouldn’t pass up. In my personal experience, I’ve repeatedly had company pages on LinkedIn come back as the top results when searching for something on Google. Linking to your website from your company page, in both the contact area and through updates, will increase your SEO credibility with Google. If you have already done the work to research your keywords for your website, there is no reason not to take the small amount of time to optimize your LinkedIn Company Page and your personal profile. 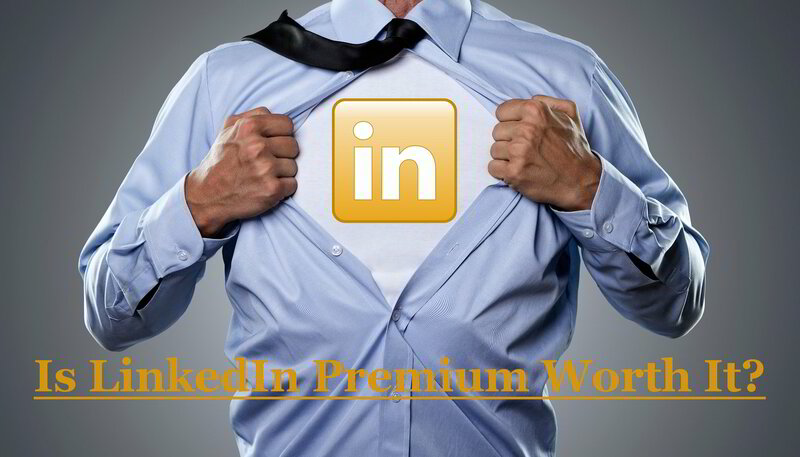 Is LinkedIn Premium worth it? This is the number one question asked about LinkedIn’s Sales Navigator. Do you have a specific and targeted prospect? Will you dedicate the time to make it work? Without a highly-targeted prospect to find and reach, additional search filters, larger results database and InMails are useless. The number one thing that holds back businesses using LinkedIn Premium effectively is not having identified the specific decision maker they need to reach. The second issue you face in using LinkedIn for business is dedicating the time to make the tool work. For salespeople, it may be their manager does not believe in social selling and won’t allow them to invest the time to make the tool work. For business owners, it is often a simple case of being too busy and not prioritizing the time to make it work. Stop thinking of using LinkedIn for business as yet another time demand and use it as a tool to leverage sales strategies that are already working for your business. 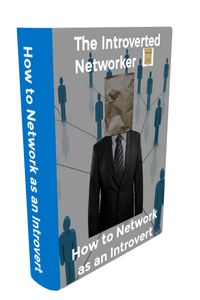 Want to Sell and Network like an Introvert? Do you find networking or selling a struggle? You don't have to fight against your nature to move your business or sales career forward. 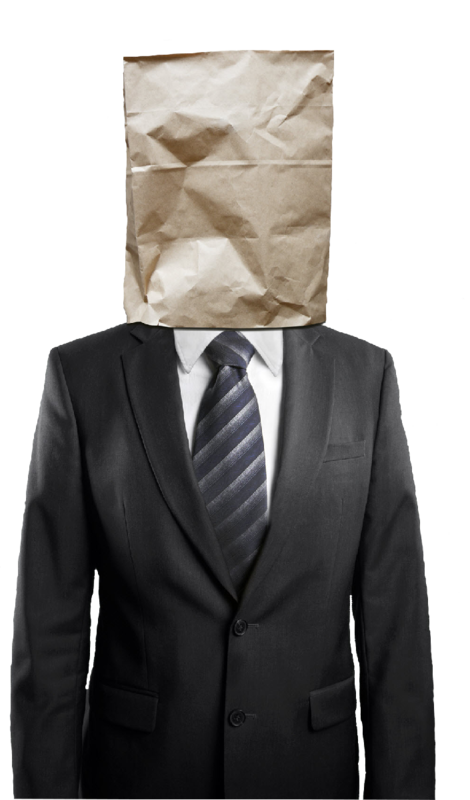 Stop listening to extroverted advice and learn to sell and network like an introvert!